Best Mobile Wifi Hotspot 2018 - Skyroam Solis Reviews & Discount Code! 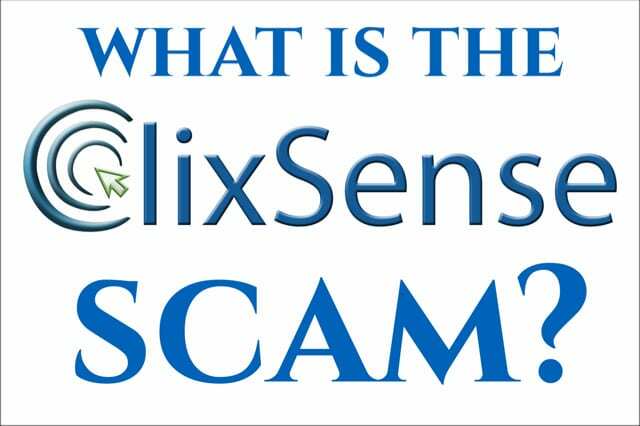 In this review I want to take a short break from the norm of reviewing online business opportunities and online scams. Instead I want to touch on one of the biggest perks of building a successful online business: traveling. Having a new stream of revenue means being able to get away much, much more. So with this post, I’m going to review the best mobile wifi hotspot device for travel that I’ve used religiously throughout 2018: the Skyroam Solis. If you’re addicted to travel like I am, dependable wifi is a MUST. In 2018 alone I’m traveling to Barcelona, Mallorca, Las Vegas, Amsterdam, Bali, Switzerland, Iceland, Tokyo, and Dubai. And while on those travels, I am constantly sharing pics and stories to my instagram feed (@batmantravels) and using Google maps to get around. So as you can imagine, I need to have a device that keeps me connected worldwide AND lets me charge my devices so I never run out of power. And that’s why the Skyroam Solis is every traveler’s dream. How does Skyroam Solis work? What are Skyroam Solis’ features? In which countries can I use Skyroam Solis worldwide? What does the Skyroam Solis coverage map look like? How much does Skyroam Solis cost? Does Skyroam include unlimited mobile hotspot plans? What are some Skyroam Solis pros and cons? Watch the following video review and you’ll see exactly why the Skyroam Solis is the best mobile wifi hotspot and my go-to for all my travel adventures. The Skyroam Solis is both a portable wifi device and power bank that you can use to stay connected and to power up your devices. Let’s dive into the features. One of my favorite features of the Skyroam Solis is that it can connect to up to 5 devices simultaneously. This is perfect if you’re with family or friends. As is the norm with mobile wifi hotspots, your Skyroam Solis has its own unique network name and password that you connect to from your device’s wifi connection. It’s quick and very easy to connect. When you turn your unit on, you’re literally one touch away from high speed wifi. You’ll be getting the fastest 4G LTE mobile wifi speeds available in over 130 countries worldwide. No SIM cards needed. I’ve taken this unit with me to Italy, Spain, Amsterdam, Bali, and Switzerland and never had any connectivity issues. Even on the island of Mallorca off the coast of Spain I was able to share photos and publish instagram stories all day long with no problems. It will last you all day long. When I’m out on excursions, I’m literally using my phone all day long. I use Google Maps all day to get around, and I’m sharing photos and video constantly to my Instagram. Normally, even if you start on a full charge, using your phone this much without a power bank will have your battery dead by the afternoon. Not with my Skyroam Solis! Now when my phone’s battery starts to die down, I just plug my phone into Solis and I’m set. I recommend taking the opportunity to charge your devices while you’re eating if you’re going to be out and about all day long. It’s easy to connect Skyroam Solis to your device using USB but you can only charge one device at a time. Then, when you’re done with your meal, it’s like your device has gotten its second wind and will easily last the rest of the day into the night. It charges my phone quickly and I’m able to stay connected and use wifi while charging. I’ve frequently left my hotel room at 7 am and returned after 9 pm after a full day of sightseeing, social media sharing, and charging my phone and STILL had juice left in my Skyroam Solis. What Does the Skyroam Solis Coverage Map Look Like? This is the big one right? If you have wanderlust like I do and you’re looking for high speed wifi connectivity, you need to know if your mobile hot spot will work when you get to your destination. Have no fear! The ultra long list of 130+ countries worldwide where Skyroam Solis has connectivity is here! There are multiple ways you can enjoy the Skyroam Solis as you travel the world. You can buy the it, rent it, purchase 24 hour day passes, or purchase unlimited monthly passes. Skyroam Solis has one of the best mobile hotspot plans I’ve seen. It’s one of the few wifi hotspot devices allowing you unlimited data, with no contract. Let’s break down how each works. Own your own Skyroam Solis for price of $149.99. If you’re someone who travels regularly, anything more than once a year, this is the option I’d go with. The unit is 100% yours and all you need to do to enjoy high speed wifi on your travel adventures is buy some day passes. Rent the original Skyroam hotspot for the price of $9.95 per day. This is a good option if you’re someone who does not travel regularly, or less than once a year. The process is very straightforward. You’ll enter the dates you’re traveling, choose if you want the unit delivered or if you’ll pick it up, and then choose if you want to mail the unit back or drop it off when you’re done with it. You will be receiving the original Skyroam mobile wifi hotspot pictured. This original version is only a mobile wifi hotspot. It is not a power bank. Purchase 24 hour day passes through Skyroam’s online portal for $9/day. This buys you unlimited data with no contract. Simply pay for what you’re using as you need it. When you buy Skyroam Solis you’re given access to their online portal. From this portal you can buy day passes, check how much time is left on your current pass, see how many passes you have in total, check your Skyroam Solis battery life, and more. You can also purchase an unlimited monthly subscription for $99/month. This is perfect if your time away is anything longer than 10 days. As you can see from the picture, 10 day passes would normally run you $90 at $9 each. With the unlimited monthly subscription you get mobile high speed wifi for the entire month for the same price it would cost you to get 11 day passes. That’s a big savings. The pros heavily outweighs the cons with this mobile wifi hotspot device. Connect up to 5 devices at once. One service everywhere you go. No contracts. Pay for what you use. Not bulky at all. Throw it in your backpack and forget about it. Charges your devices pretty quickly. Very easy to use. One button press and you’re done. Very long battery life. 16+ hours of battery is no joke. Inexpensive. Both the full price of $149.99 to own it and $9/day for day passes are very affordable. Although you have unlimited data, after a certain amount of use the speeds begin to throttle down. Basic use like using Google maps, mail, or the internet all day while out and about is fine, but if you’re uploading video after video for instagram stories, later in the day you’ll notice the speed is noticeably slower. Is the Skyroam Solis the best mobile wifi hotspot device for travel in 2018? Yes it is. I take mine with me on every trip and won’t travel without it. Do you have any questions for me? Are you a Skyroam Solis user? Do you agree that it’s the best mobile wifi hotspot device for travel? Share your experience with me! Interested in building your own online business that can travel with you? Read my full review for my top recommendation with my personal results! Leave a question or share your story in the comments below. I always respond and I look forward to hearing from you. Hi Eric, what a great product! It’s exactly what I’m looking for and I’m very happy it works in ICELAND!!! I’m headed there in a few months and wanted to have secure wifi with me! Thank you so much for the great review! How large is the wifi unit itself? I actually just got back from Iceland yesterday! It’s an amazing country and yes the Skyroam worked great there! The unit itself is a bit too big too fit in your pants pocket, for example, but I’ve kept mine in a jacket pocket just fine. It’s just under a 4″ circle in diameter and around 1″ tall. Thank you for the great recommendation! I didn’t know about such a product. Is it heavy duty? does it withstand hot weather, humidity, dust, …etc.? Is it reliable in rural areas? have you suffered from disconnection of the service at remote areas, or between mountains, inside canyons, …etc.? Thanks for the questions, Amjad. Yes, this unit withstands your normal use along with dust, etc. It’s not exactly meant to be out in the elements for long periods of time just like any other electronic device, but it’s definitely not flimsy. Also understand, this unit doesn’t just magically create WiFi, it simply connects you when wifi is available. So if you’re out in a remote area between mountains where no one else has wifi, this won’t suddenly create it. But if there’s wifi available, you got it! Hi! I’m going to travel next week and this product would be wonderful for that. The price seems reasonable and there are different plans to suit my needs! I think you’ll really enjoy it. Use my discount code and get some extra savings 🙂 Thanks so much for the comment! What an awesome product, and a great review … Very interesting. I am from South Africa and have never seen it before so I have shared to my Facebook page as it is on the list. we battle here with our Devices that we get, 90% of the time we dont get comms or they just dont work sadly. Very glad you found this! Thanks for the comment and thank you for sharing! Great article. I never knew there was something like that. That could be very helpful for the future! Thanks for the comment! It’s come through for me on all my travels. Won’t leave home without it! Hi I like your writing style, very straightforward and to the point. Best of all I learned about this cool gadget. Didn’t know it even existed! Thanks for sharing, good job! Thank you very much. And yes, it’s my go to for all my travels. I think you’ll enjoy it. Thanks again! This was a great review. How extensively have you used this inside the US? Would you recommend maybe using the monthly subscription to replace home wifi? Keep up the great work!!! How’s it going, Kiese. I don’t think I’d recommend eliminating your home wifi. Home wifi can actually be much cheaper and faster than what this mobile wifi hotspot provides. That isn’t really the purpose of the Skyroam Solis. As far as when you’re away from home, which I am a lot, this has come through for me every time 🙂 Thanks for the question and comment! Great review on a great product. I’ve been looking into getting one for a while now and I’m amazed by the battery life and its capacity for connecting all my mobile devices and stay connected to the world. Great review. Sold! I think you’ll really enjoy it! I know I have. Thanks for chiming in!